How many calories in your favourite drink? The calories contained in alcoholic beverages mainly come from ethanol (alcohol). There are 7 calories in 1g of ethanol. However, alcohol beverages are served and sold across Europe in measures frequently other than 10g of ethanol in a drink. 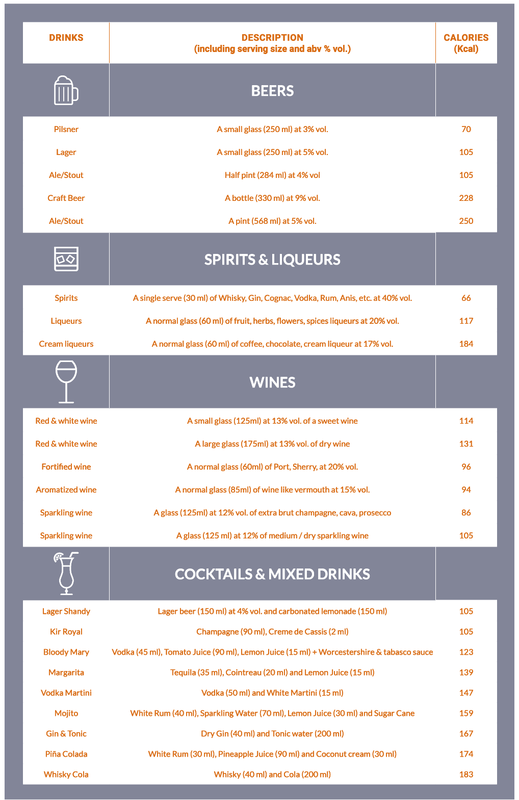 In addition, some spirits drinks (such as liqueurs) have by definition a certain quantity of sugar (4 calories in 1g of sugar). Similarly, the soft drinks and ingredients you choose to add will impact the total calorie intake. 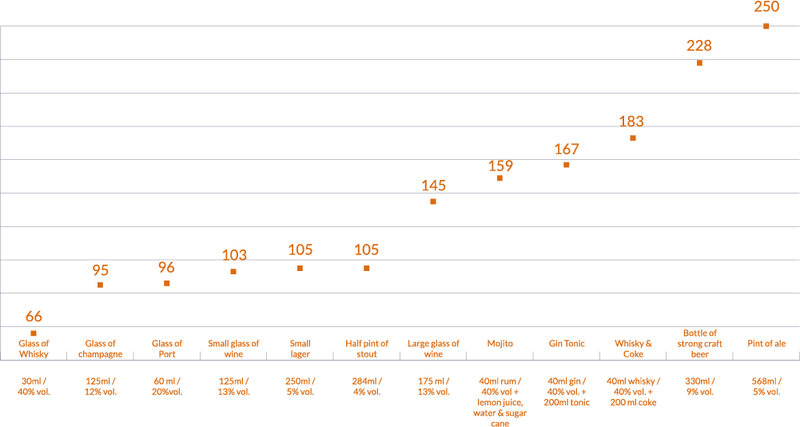 A glass of spirits drink is never consumed by 100ml! This would exceed the low-risk drinking guidelines and therefore 100ml cannot be considered as a unit of reference to inform consumers on calories for spirits. How to calculate the number of grams of ethanol in a drink? 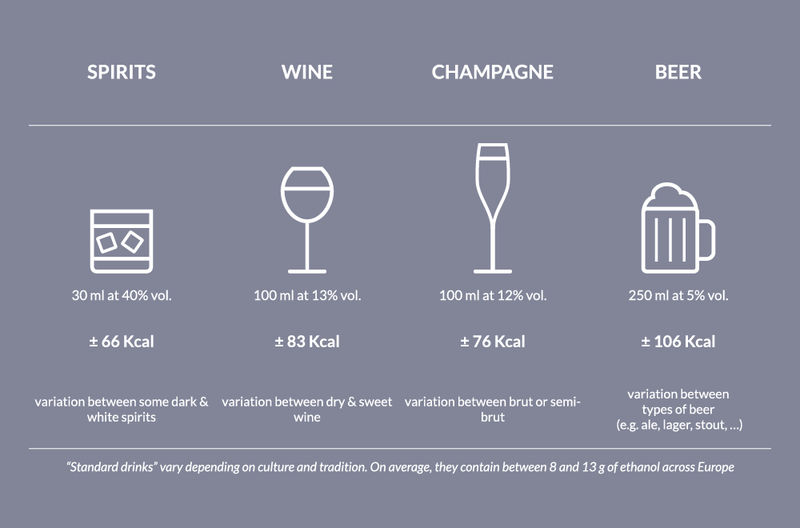 In addition, you have to consider that some drinks contain more calories than others, for example liqueurs and cream liqueurs (4 calories in 1g of sugar).